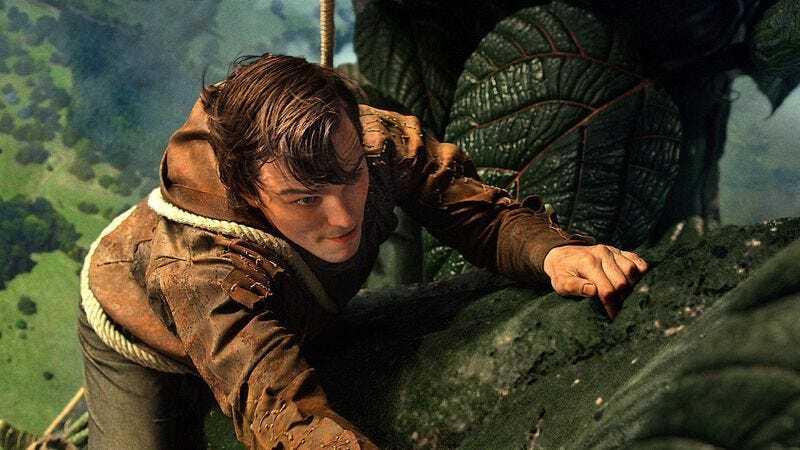 While 2012 was meant to be the year when all of our dark fairy tale reimagining dreams came true, Hollywood seems to be having second thoughts about that—though oddly, only after it was decided that the coming months required two Snow White movies. Paramount announced recently that it was moving the Jeremy Renner-starring Hansel And Gretel: Witch Hunters from its March opening all the way to next January, and now Warner Bros. has made a similar decision regarding Jack And The Giant Killer, bumping it from its scheduled debut this summer to March 2013. In Paramount’s case, the shift was intended to give Renner a chance to become more of a global draw by starring in this year’s The Avengers, The Bourne Legacy, and whatever other major franchises he can squeeze in there. But Warner Bros.’ decision to move the Nicholas Hoult-starring Jack—which already debuted a trailer and everything—came without explanation. Still, given that the studio has also now yanked both David Dobkin’s Arthur And Lancelot, which was to star Game Of Thrones’ Kit Harington and The Killing’s Joel Kinnaman, and the Garret Hedlund-starring remake of Akira, it suggests that Warner Bros. et al. are suddenly having second thoughts about mounting big-budget pictures without the security of A-list draws, just because they happen to be stylized adaptations of well-known source material. In short, it’s yet another consequence of Robert Downey Jr.’s selfish insistence on being one person.